A moving story I had never heard before. These young boys were certainly courageous in tackling what they were forced to do. The acting is very good and the story is told with sensitivity. This movie could have been made in a very sensational way. To the director’s credit, the tension is naturally embedded in the situation and the whole thing is very believable. It was nominated for best foreign film at the Oscars. 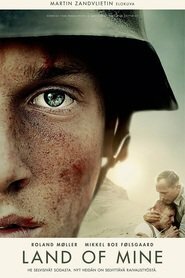 An important movie about war and forgiveness.